From last year’s runway to this year’s collections, we’ve seen a shift towards the more formal looks. 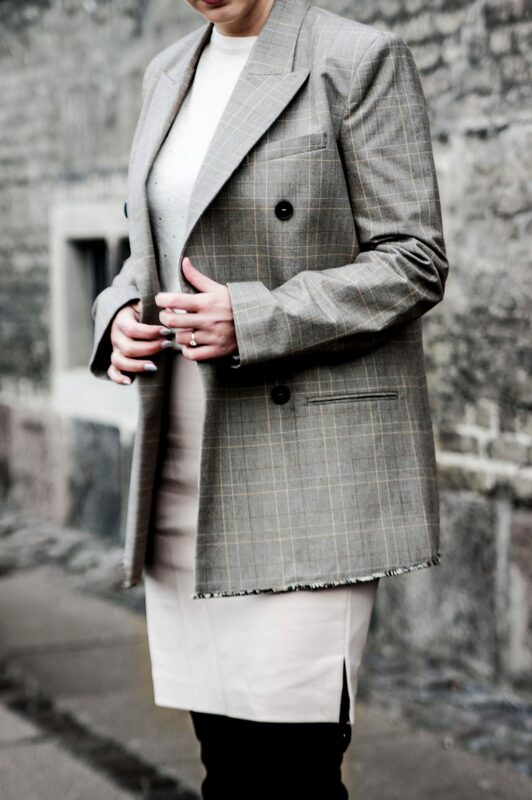 Last year suits became extremely popular combining a mix of old style fashion with new trends. I personally loved it! It fits with the empowered women movement, where we are getting more on more noticed throughout our careers. We are being heard and able to speak the truth ( #metoo), things are looking up for us. That’s why whether you are going to your 9 to 5 job or going for lunch or a dinner date, you need a blazer or even better, a whole suit. Black and white blazers are certainly cute, practical and I am not gonna lie, they are the best for workwear and many other occasions. But I guess that most of us already have a black or white blazer in their closet. So that is why I choose two other types for a more stylish, retro and creative look, while still keeping it versatile. 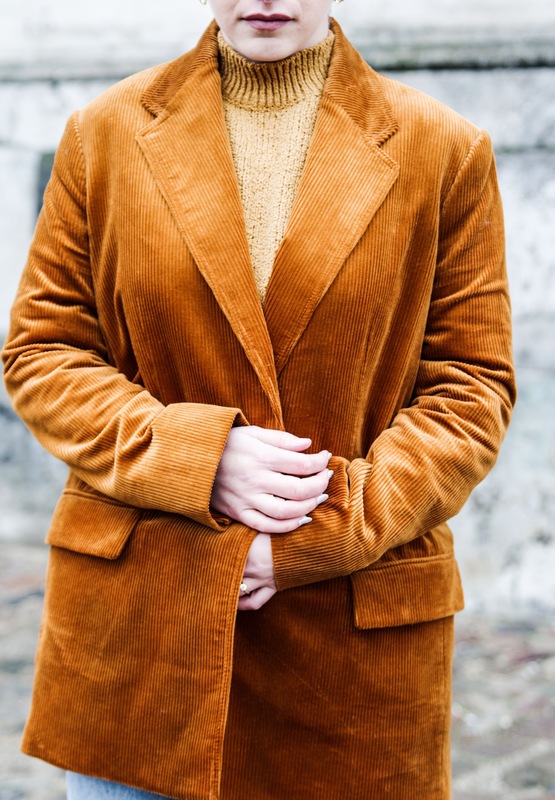 Take for example this corduroy blazer HERE, It is actually part of a suit but the pants were not in stock when I ordered, otherwise I would definitely have gone with the whole suit. The blazer has an interesting and unique color, but I still managed to style it quite easy with something as basic as denim. Should you wear it to work, dinner or a day time occasion this is an easy outfit to style and it has a lot of personality. By mistake I ordered a size too large for me (a medium), so if you’re about the same build as me, a small will fit better. If colors don’t fit your personal style or you are looking for something more formal, then this check structured blazer HERE should do the trick. It also comes as a suit but like many other blazers works perfectly fine uses as just the jacket. 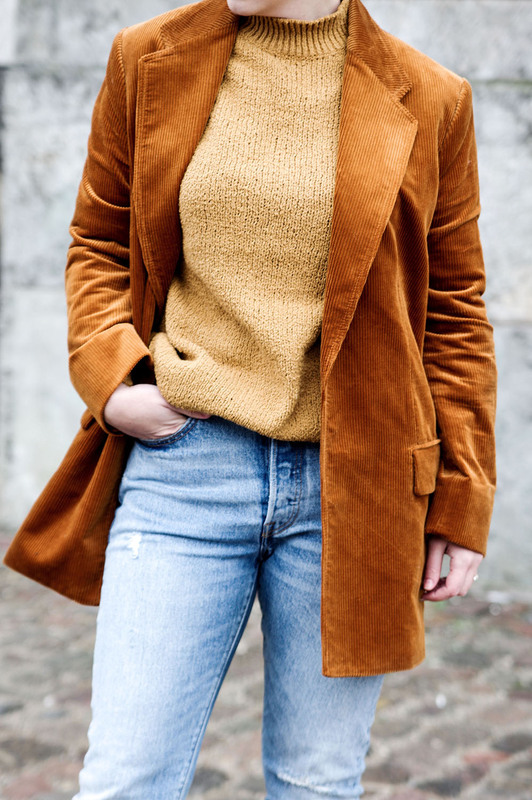 I can tell you that the fabric of this blazer is so soft, it feels like wearing a cashmere sweater and the fit is really nice. Both of the blazers are on sale right now both alone and as part of a suit, the items are linked in shop the post. I’m curious, do any of these outfits fits your personal style? Which one? Which blazer did you like the most?